An overview of recent fintech developments in the UK. There will be a focus on how fintech start-ups are progressing and performing, and how corporate investors are positioning themselves to benefit from the innovation that is emerging from the fintech ecosystem. With valuations of fintech start-ups being relatively high, how are they being arrived at and what is currently happening with regards to valuation and valuation metrics? What makes your entry a winner? In the wake of the Marketing Effectiveness Awards 2018, two of the winners will present a case study on their successful entry. A great opportunity to learn more about some very interesting campaigns/products and about how to create an outstanding entry for the 2019 Awards. Nudge: Improving Decisions about Health, Wealth, and Happiness, the ground-breaking behavioural economics work, is now 10 years old. The ‘nudge’ approach is already widely used in financial services marketing but it can still do more - as a positive brand engagement strategy. Financial services can build brand trust by adopting a ‘nudge for good’ approach - not only delivering marketing responses but making a positive difference to their customers’ lives at the same time. Because social media is already outing brands employing marketing nudges that trick customers into actions not in their best interests, #sludge, - does it mean that 2019 calls for more coherent corporate ‘nudge’ policies? We present ideas on using ‘nudging’ tactically and strategically to positively engage people with financial services products and brands. The Pension industry and Government need to build on the early success of Auto Enrolment. How can engagement levels be reached that ensure low dropout rates and greater contribution levels. It’s a fair challenge for the marketing and communications professionals to take on. The success of auto enrolment has largely been driven by employee inertia. But how do we ensure savers remain on board as contributions increase? With many employees seeing little increase in their salaries, rising pension contributions are hitting take-home pay. How do we dissuade employees - especially the young - from opting out? What are the best communication strategies, and how can these help boost engagement? Are there lessons to take from behavioural finance? We debate how to maintain the momentum of auto enrolment - what employers, providers, advisers and others can do to help. "The inconvenient truths impacting your content marketing effectiveness". Content. Still everywhere. Still the closest thing we’ve got to a customer engagement silver bullet. But here’s an inconvenient truth: financial services organisations are still not using content as effectively as they could. Most marketing departments' content strategy is not aligned with the longer-term strategic plan. As competition for the customers' attention intensifies, meaningful engagement through a long-term content strategy is where enlightened FS firms are heading. Overcoming siloed structures and reward structures that focus on short-term ROI wins is a huge challenge. But if financial services firms are to harness the strength of content, to build long-term meaningful relationships in a journey that’s becoming increasingly non-linear, these challenges have to be overcome. We will tackle legacy marketing attitudes which are driving misuse of content and consider strategies for long term business benefit. This session will start with a canter through the content marketing survey results of 150 senior client-facing personnel in financial services, professional services and technology firms. We will examine the content marketing strategies of the small minority of firms that are measurably better than others. How does this influential cohort plan, create, distribute and measure their thought leadership, pointing out specifically what these leaders do differently? We will then look at how this works in practice, showcasing examples of impressive and innovative work which is seen as the benchmark for many in professional services. The results reveal a lot about how financial services firms should be structuring their marketing efforts to best suit their sales teams. It is estimated that disengaged employees cost the UK economy £64bn through lost productivity, poor service delivery, and reduced discretionary effort. So consider the impact employee engagement makes to your bottom line, human and financial resources. What could be the positive impact engaged employees have on operational performance and profit? How can you leverage a compelling employer brand to ensure you attract the right talent for the right jobs? And how do you use internal communications to effectively inform, engage and inspire employees to thrive? Getting the brand right on the inside of the business will help maximise the brand on the outside. But it requires strategy and tactics to work together in harmony to create an employer brand consisting of loyal internal brand ambassadors, which in turn will have a positive effect on your company. Every financial services organisation has a unique take on the world. But most struggle to be heard. Linstock Communications will share 10 Pearls of Wisdom on thought leadership marketing, helping organisations discover and give voice to ideas that change people's perspective on issues that matter. The webinar will explore: the naked truth about thought leadership, how you can build thought leadership into your communications strategy and ten key elements every thought leadership marketing campaign should contain. Uber, Nike and their like, have turned branding on its head. They have created utilitarian global brands by inserting themselves into our daily lives using technology as their Trojan horse. And through this utility they have invested more meaning into their brands than any global advertising campaign ever could. Utilitarianism is the innovation frontier for financial services. How do traditional financial service companies reconfigure and transform their capabilities to innovate around their customers' needs and rebuild their brand meaning through utility, instead of advertising. How could wearable tech transform UX in the financial services sector? What will personalisation and big data impact on UX? Omnichannel - creating a seamless user experience from online to offline. Since it made a debut in 2003, LinkedIn has evolved and enhanced its offerings. Our mindset about how to use LinkedIn, however, has not evolved as quickly as the product. If you haven’t changed your approach to LinkedIn, you’re missing out on some of the biggest benefits. The title of The Forum’s Autumn 2015 conference was “20:20 vision” so asked our Members for their comments on their vision for the financial services industry in 2020 – insight into what the future might hold. We also went out on the street and got some vox pops from the general public. Societal and technological changes are altering the way consumers interact with their bank. This in turn will shape the branch network of the future, both in terms of where branches will be located and their purpose/format. However, the impact of this change is not happening at the same rate across the UK and does vary according to local demographics. Ian will demonstrate that the best way to optimise your branch network by 2020 is to make sure you take these local considerations into account: the best national picture is actually the sum of all the local situations. Simon explains how digital currencies such as Bitcoin, peer to peer lending and CrowdFunding will affect the future of banking and finance. In this provocative session, global futurist Rohit Talwar explores how industry strategies, businesses models and organisation design could develop in response to the evolution in social needs and expectations and a rapid acceleration in the capability of personal and corporate technologies. He describes a number of potentially disruptive ventures that could change the game in financial services and highlights practical strategies for firms that want to shape the future rather than be a casualty of it. David describes the driving forces that are making wholesale change in financial services increasing inevitable and desirable for the industry’s participants, their clients and consumers and the regulator. The question and answer session from The Forum's Pensions Reform discussion in September 2014. Panel includes: David Dunn, Making Sense of Retirement (Chair); Mel Duffield, Pensions Policy Institute; Tim Gosden, L&G; James Coney, Money Mail; Simon Lambert,Thisismoney.co.uk. The third presentations from our recent Pensions Freedom event. The Pension bombshell dropped by The Chancellor in the March budget has galvanised the UK market. Recent research will show how the UK consumer has reacted to the changes. In other countries where savers do not have to buy annuities (e.g. Australia and USA) what do retirees do with their pension pots? What does the retirement income market look like and what products have developed and prospered? What has driven consumer behaviour in those markets? And, with the new pension flexibilities in the UK, what would be a good outcome from a regulatory perspective? The second of three presentations from our recent Pensions Freedom event. The Pension bombshell dropped by The Chancellor in the March budget has galvanised the UK market. In other countries where savers do not have to buy annuities (e.g. Australia and USA) what do retirees do with their pension pots? What does the retirement income market look like and what products have developed and prospered? The world of retail is moving at a rapid pace - driven by changing consumer behaviour and new technological advancements. Using digital to improve the online to instore experience has allowed us to be smarter marketers, this has resulted in better relevance to our customers, better service and as a result Halfords are doing more business. Clive West, Head of Digital at Halfords, and Peter Veash, CEO of The BIO Agency, have been working closely together to join up the customer experience and drive digital innovation in the business. During this session, they’ll give some insight into the customer behaviour and some of the advancements they have made. 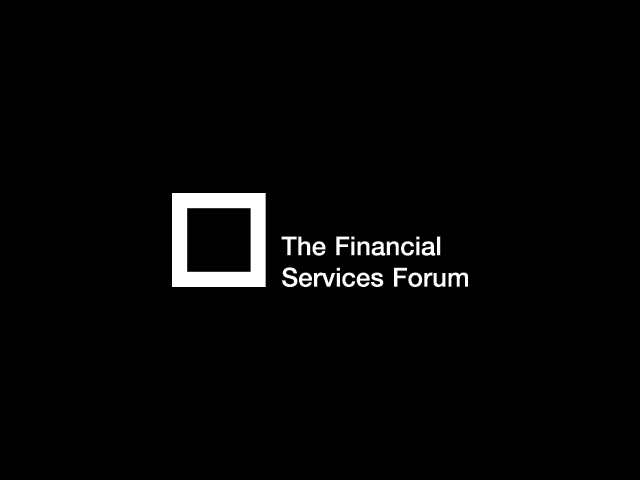 The Forum is a community of marketing leaders from across all sectors of the financial services industry. The Forum’ help its Members improve their marketing effectiveness through a calendar of 50+ seminars and conferences per annum, access to a web-based Knowledge Centre archive of marketing intelligence, and via a journal, Argent.